This well carved netsuke features a hippo. 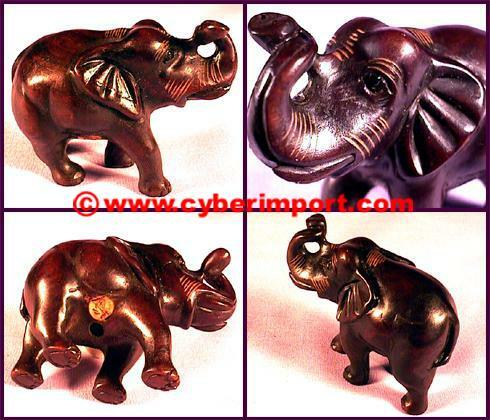 Carved from Boxwood Hand Carved, historically one of the most popular choices for wood netsuke. nsbw223 US$8.39 US$7.5 /pc MOQ: 15pc 24g 2"
nsbw253-C US$8.39 US$7.5 /pc MOQ: 30pc 24g 2"
nsbw288 US$8.39 US$7.5 /pc MOQ: 15pc 18g 2"
nsbw304-C US$8.39 US$7.5 /pc MOQ: 15pc 20g 2"
nsbw318-H US$8.39 US$7.5 /pc MOQ: 15pc 6g 2"
This well carved netsuke features a badger. He doesn't look like he's missed any meals. He's sitting on a log. Patting his stomach after a large meal, and giving a growl. Or maybe a belch. 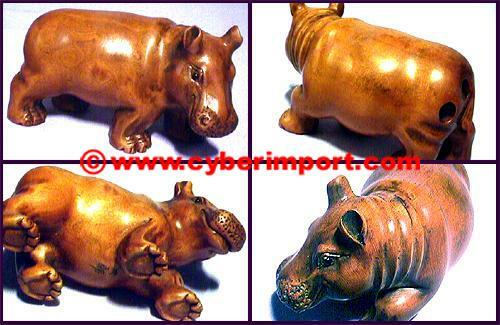 We no longer make any Ironwood Hand Carved netsuke, but we can offer same design Boxwood Hand Carved netsuke. This rhino sports not one, but two horns. Probably from the royal court, with fancy headgear and blanket. 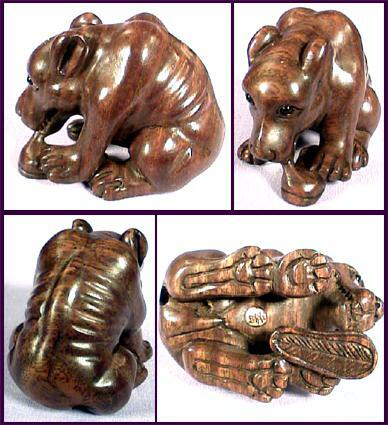 We no longer make any Ironwood Hand Carved netsuke, but we can offer same design Boxwood Hand Carved netsuke. Here's a pair of playful elephants. 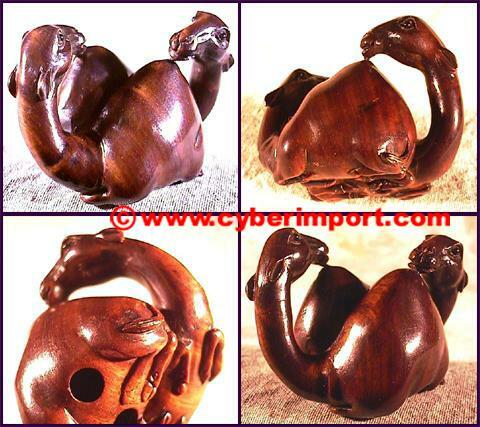 We no longer make any Ironwood Hand Carved netsuke, but we can offer same design Boxwood Hand Carved netsuke. Trunk raised to the sky, this elephant has some beautiful curly locks. 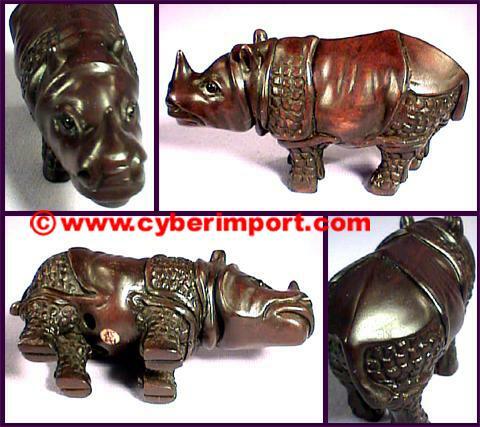 We no longer make any Ironwood Hand Carved netsuke, but we can offer same design Boxwood Hand Carved netsuke. 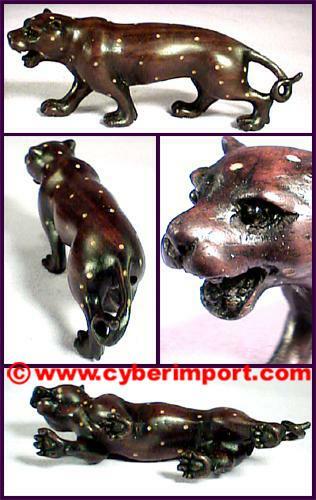 nsiw150 US$8.39 US$7.5 /pc MOQ: 15pc 20g 2"
This well carved Ironwood Hand Carved netsuke features a spotted leopard. This one is a male and on the prowl. Sharp teeth, curl in tail. Cord holes on left-rear leg. 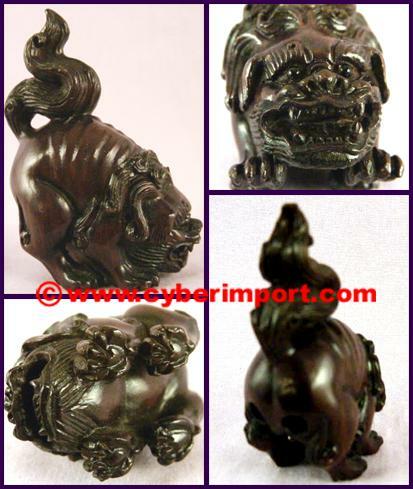 We no longer make any Ironwood Hand Carved netsuke, but we can offer same design Boxwood Hand Carved netsuke. 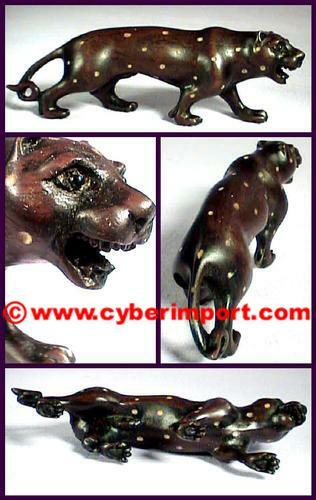 nsiw169 US$8.39 US$7.5 /pc MOQ: 15pc 20g 3/4" x 2"" x 9/16"
This well carved Ironwood Hand Carved netsuke features a spotted leopard. This one is a female and on the prowl. Sharp teeth, curl in tail. Cord holes on right-rear leg. 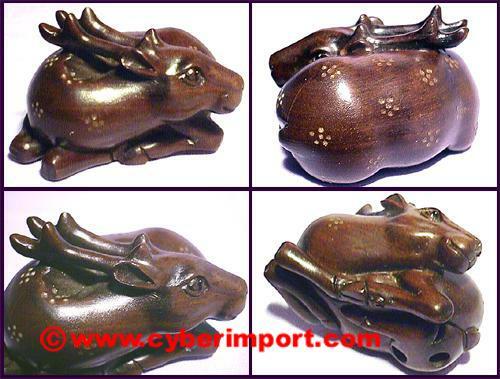 We no longer make any Ironwood Hand Carved netsuke, but we can offer same design Boxwood Hand Carved netsuke. nsiw170 US$8.39 US$7.5 /pc MOQ: 15pc 20g 3/4" x 2"" x 9/16"
The king of beasts: a magnificent lion. Fine detail around teeth. 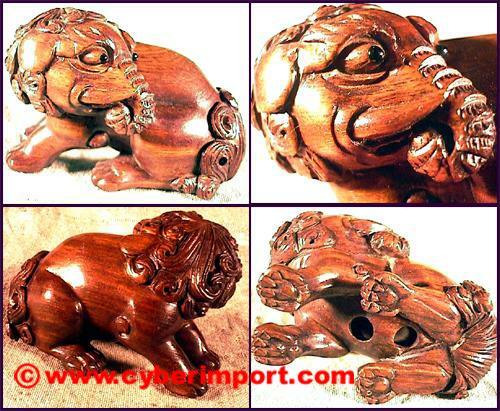 We no longer make any Ironwood Hand Carved netsuke, but we can offer same design Boxwood Hand Carved netsuke. nsiw260-2 US$8.39 US$7.5 /pc MOQ: 15pc 26g 2"
Panda munching on a stalk of bamboo. Baby wanting its share. nsbw508 US$8.39 US$7.5 /pc MOQ: 15pc 20g about 2"
Solo Hippo, looking for a mate. 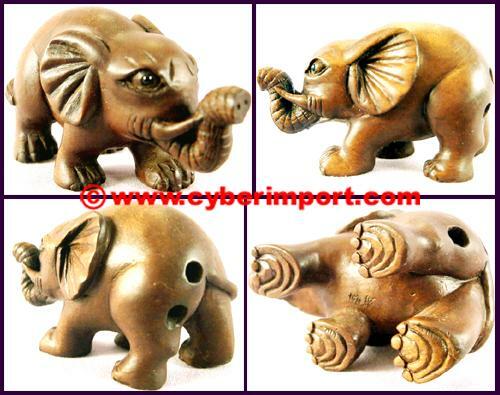 We no longer make any Ironwood Hand Carved netsuke, but we can offer same design Boxwood Hand Carved netsuke. 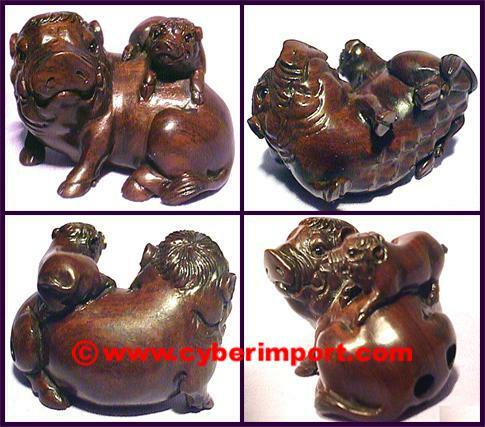 nsiw267 US$8.39 US$7.5 /pc MOQ: 15pc 20g about 2"
Two hippos exchanging romantic intentions. nsbw440-C US$8.39 US$7.5 /pc MOQ: 15pc 24g 2"
nsbw520 US$8.39 US$7.5 /pc MOQ: 15pc 16g about 2"
Baby peeking out of the pouch. 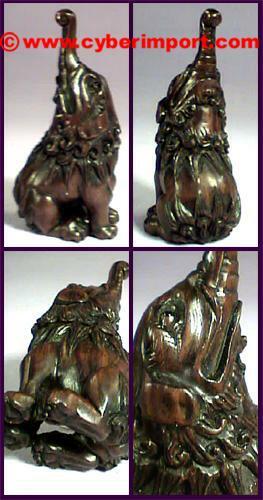 We no longer make any Ironwood Hand Carved netsuke, but we can offer same design Boxwood Hand Carved netsuke. nsiw309 US$8.39 US$7.5 /pc MOQ: 15pc 18g about 2"
They are almost in a "ying yang" image as they face each other in reverse. 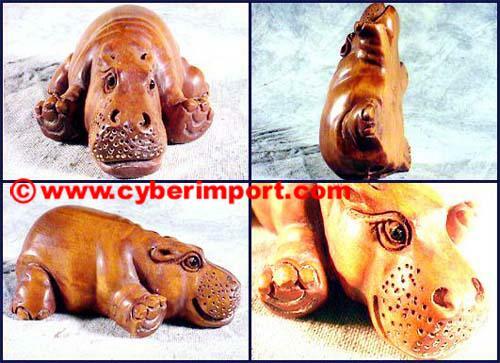 We no longer make any Ironwood Hand Carved netsuke, but we can offer same design Boxwood Hand Carved netsuke. nsiw318 US$8.39 US$7.5 /pc MOQ: 15pc 18g about 2"
Looks like he jumped off a pack of smokes, but this one not in the employ of a tobacco company. 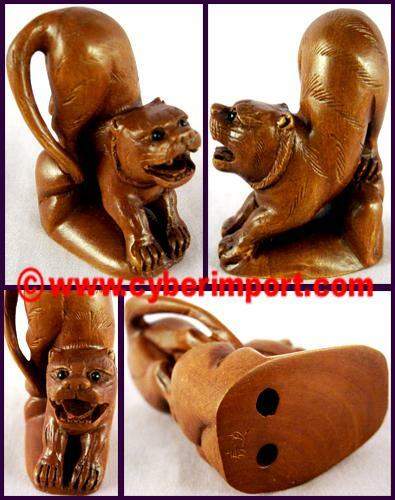 We no longer make any Ironwood Hand Carved netsuke, but we can offer same design Boxwood Hand Carved netsuke. nsiw319 US$8.39 US$7.5 /pc MOQ: 15pc 16g about 2"
Lots of curly locks around its neck. 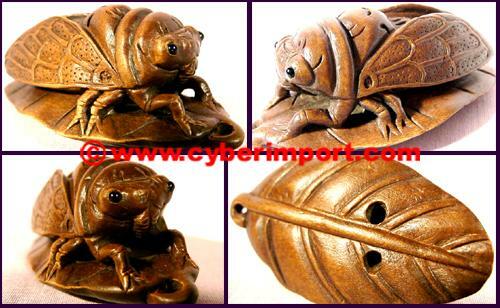 We no longer make any Ironwood Hand Carved netsuke, but we can offer same design Boxwood Hand Carved netsuke. nsiw328 US$8.39 US$7.5 /pc MOQ: 15pc 18g about 2"
Humorous, prostrate position. 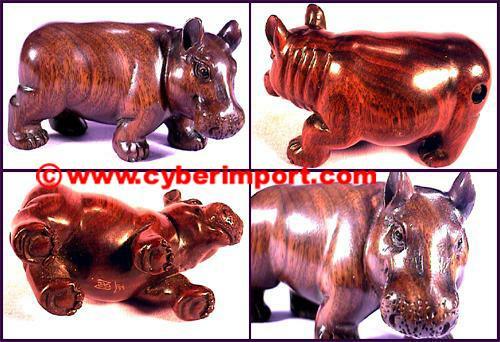 We no longer make any Ironwood Hand Carved netsuke, but we can offer same design Boxwood Hand Carved netsuke. 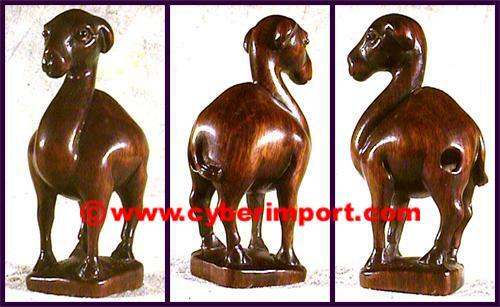 nsiw353L US$8.39 US$7.5 /pc MOQ: 15pc 22g about 2"
It is holding up its right leg to get at what must be a knee itch. 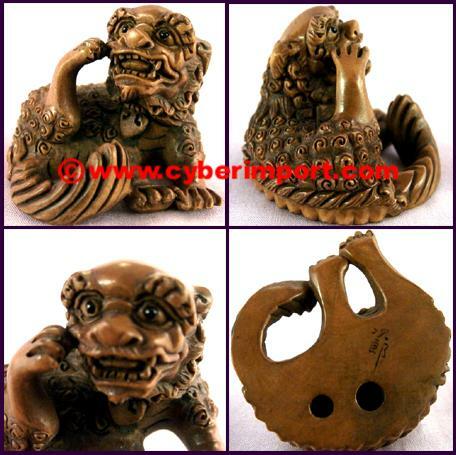 We no longer make any Ironwood Hand Carved netsuke, but we can offer same design Boxwood Hand Carved netsuke. 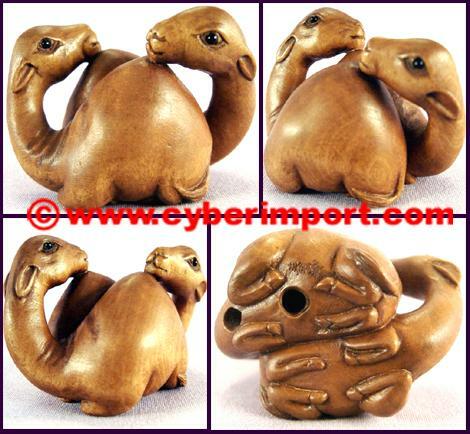 nsiw356L US$8.39 US$7.5 /pc MOQ: 15pc 20g about 2"
Hand-carved wood netsuke from China. Glass inlay eyes. Artist's signature on most. 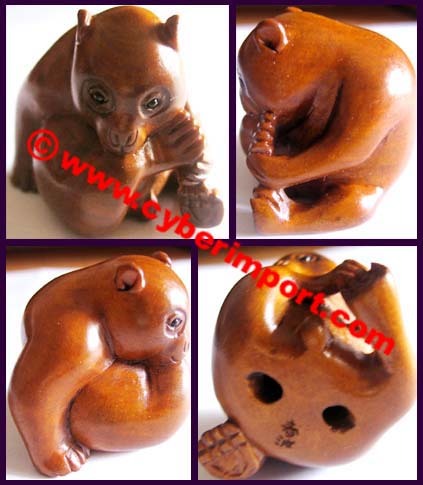 We no longer make any Ironwood Hand Carved netsuke, but we can offer same design Boxwood Hand Carved netsuke. 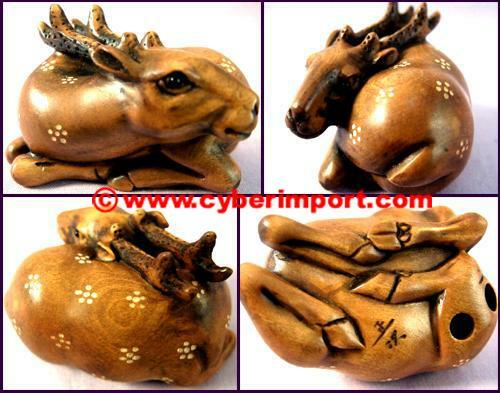 nsiw379 US$8.39 US$7.5 /pc MOQ: 15pc 32g 2"
This well carved netsuke features a spotted deer. Nice finish on this piece. 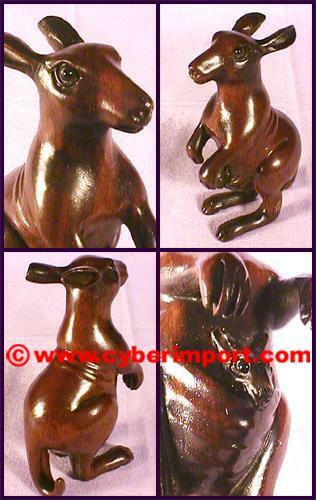 We no longer make any Ironwood Hand Carved netsuke, but we can offer same design Boxwood Hand Carved netsuke. 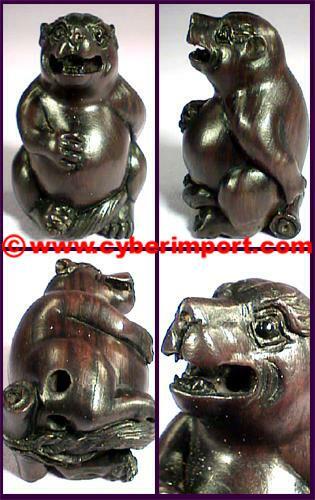 nsiw413 US$8.39 US$7.5 /pc MOQ: 15pc 26g 2"
This well carved netsuke features a mama boar. On its back is a baby. Both have tusks. 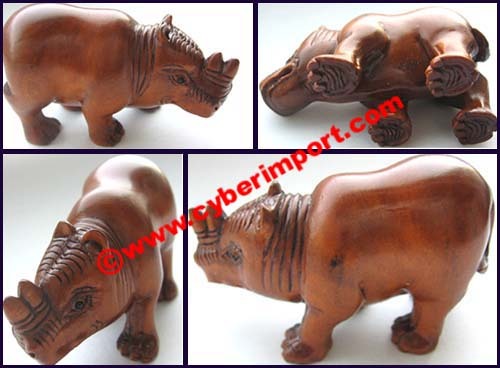 We no longer make any Ironwood Hand Carved netsuke, but we can offer same design Boxwood Hand Carved netsuke. 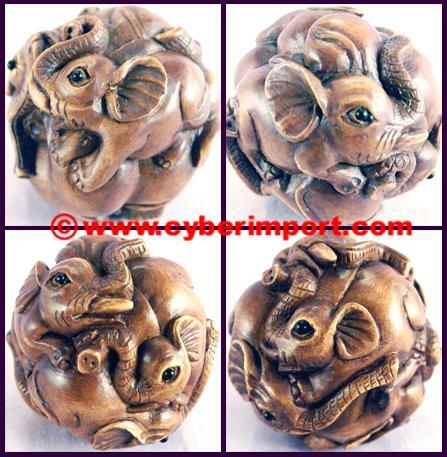 nsiw414 US$8.39 US$7.5 /pc MOQ: 15pc 24g 2"
We no longer make any Ironwood Hand Carved netsuke, but we can offer same design Boxwood Hand Carved netsuke. 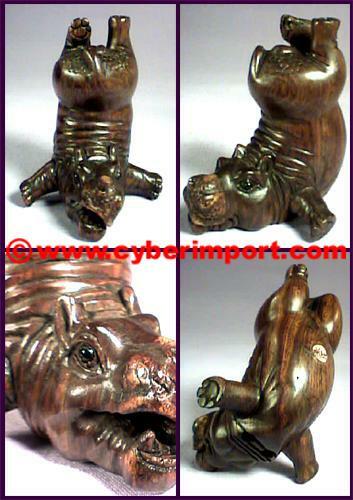 nsiw451-H US$8.39 US$7.5 /pc MOQ: 15pc 20g 2"
This acrobatic hippo is attempting a headstand. Note the snear smile of satisfaction as it gets its legs up into the air. 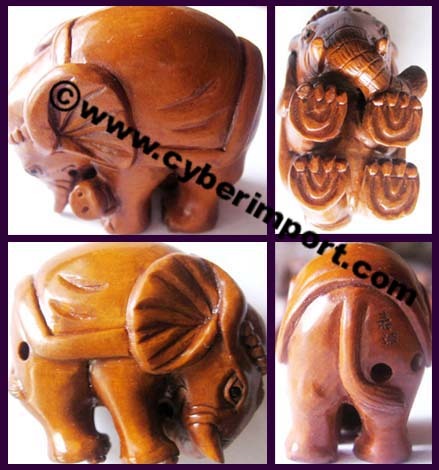 We no longer make any teakwood netsuke, but we can offer same design Boxwood Hand Carved netsuke. 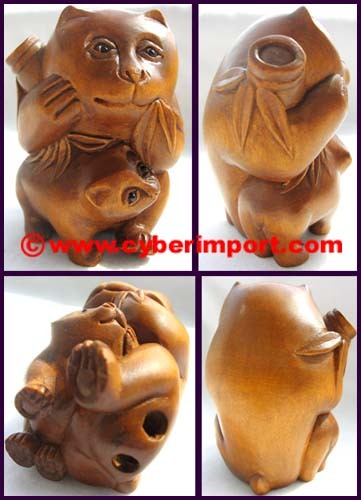 nstk010 US$8.39 US$7.5 /pc MOQ: 15pc 20g 2" x 1 5/8 x 1 1/2"
This is a well carved netsuke featuring a bear. He is dressed in a uniform jacket and hat. Holding a rifle in his left hand. 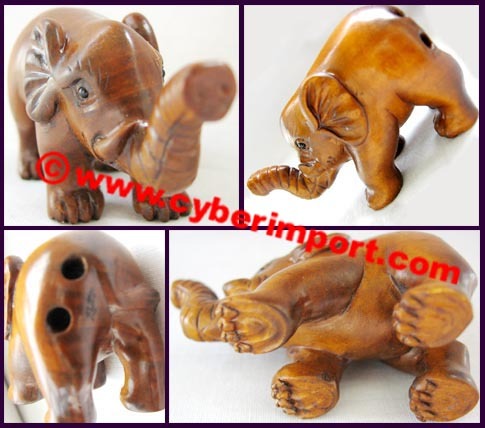 We no longer make any teakwood netsuke, but we can offer same design Boxwood Hand Carved netsuke. 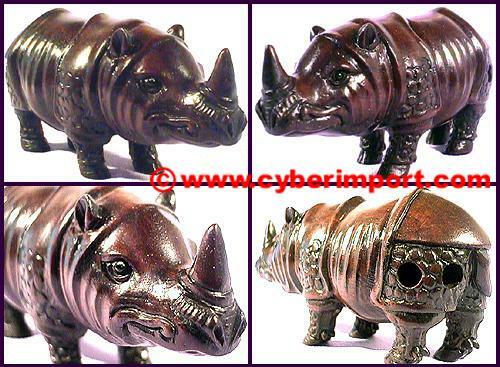 nstk089 US$8.39 US$7.5 /pc MOQ: 15pc 20g 2" 3/8" x 1 1/2"" x 1 3/8"
This is a well carved netsuke featuring a rhino. In Asia, the rhino is sought after for its horn which is used in aphrodisiacs. 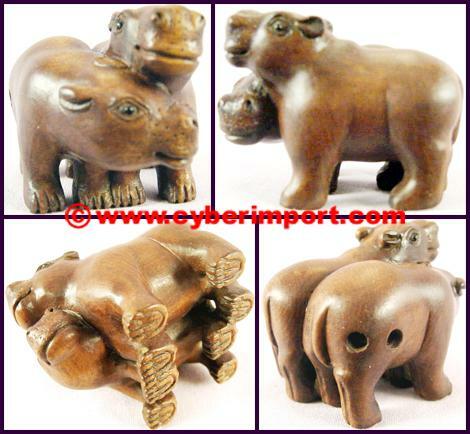 We no longer make any teakwood netsuke, but we can offer same design Boxwood Hand Carved netsuke. 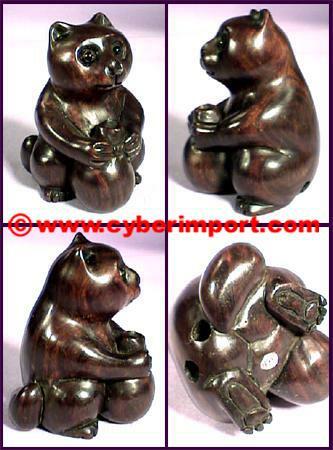 nstk103 US$8.39 US$7.5 /pc MOQ: 15pc 22g 1 3/8" x 2" 1/2"x 1"
This is a well carved netsuke featuring a badger. It is sitting down with a jug. 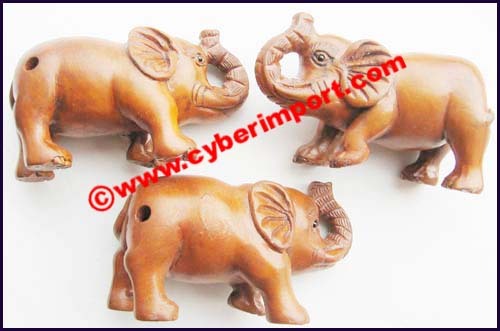 We no longer make any teakwood netsuke, but we can offer same design Boxwood Hand Carved netsuke. 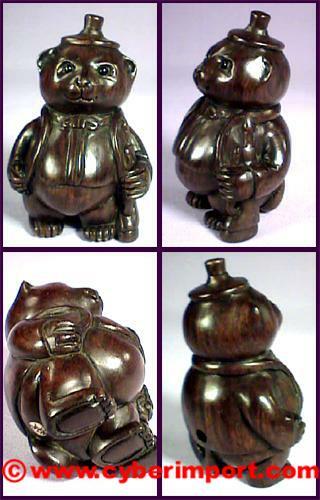 nstk104 US$8.39 US$7.5 /pc /pc MOQ: 15pc 22g 1 7/8" x 1 1/4" x 1 1/2"
This is a well carved netsuke featuring a bear. Real innocent expression as it is chewing on someone's shoe. Shoulders, spine, and rib bones captured well by the artist. 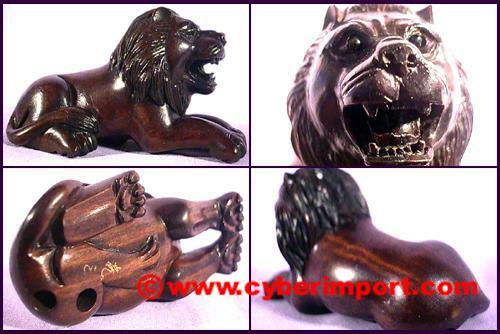 We no longer make any teakwood netsuke, but we can offer same design Boxwood Hand Carved netsuke. 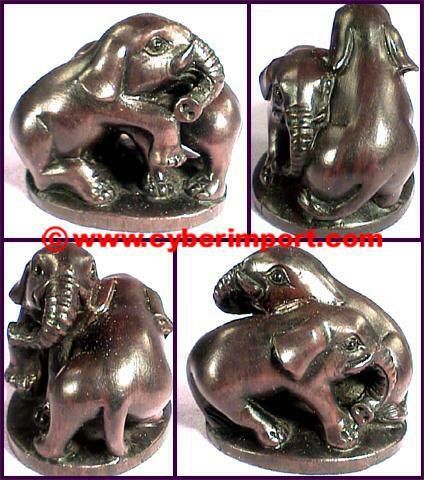 nstk108 US$8.39 US$7.5 /pc MOQ: 15pc 20g 1 1/4" x 1 3/4" x 1 1/8"
This is a well carved netsuke that features an elephant. Large ears and etched wrinkles. Tusks under trunk. Stands upright. 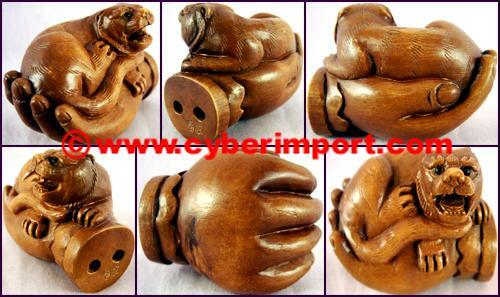 We no longer make any teakwood netsuke, but we can offer same design Boxwood Hand Carved netsuke. nstk144 US$8.39 US$7.5 /pc MOQ: 15pc 22g 1 3/4 x 7/8 x 2"
nsbw416 US$8.39 US$7.5 /pc MOQ: 15pc 32g 2"
nsbw417-C US$8.39 US$7.5 /pc MOQ: 15pc 26g 2"
nsbw418-C US$8.39 US$7.5 /pc MOQ: 15pc 40g 2"
nsbw420-C US$8.39 US$7.5 /pc MOQ: 15pc 40g 2"